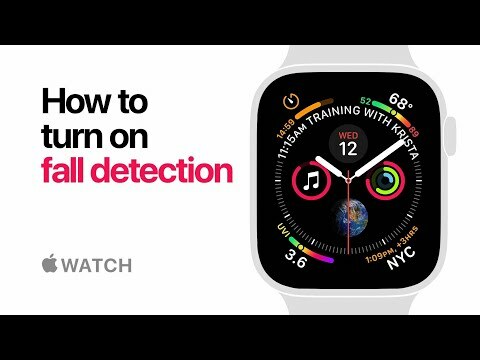 Both clips are under 40 seconds long, and guide wearers to the right places in the iOS Watch app -- "Emergency SOS" in the case of fall detection, and "Heart" for arrhythmia alerts. How do I get this watch face on my new AW4? And the white one in the other ads? 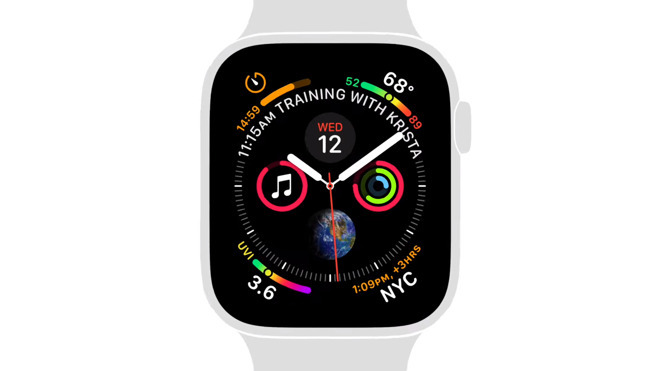 If you have an Apple Watch Series 4, it’s one of the several default watch faces. You may not recognize it because it may not have all of those complications on the default face. You add complications to any given watch face. It's not there in any form. This appears to be the case with many of the faces Apple uses in its ads. Reminder to readers outside the US: the Afib detection does not work in all regions. If you’re in one of the (mostly European) countries where the ECG functionality is or was recently made available, you’ve got the Afib detection option (which you turn on using the instructions in this article). If you are in a country that does not have the ECG functionality turned on yet, you do not have Afib detection yet. 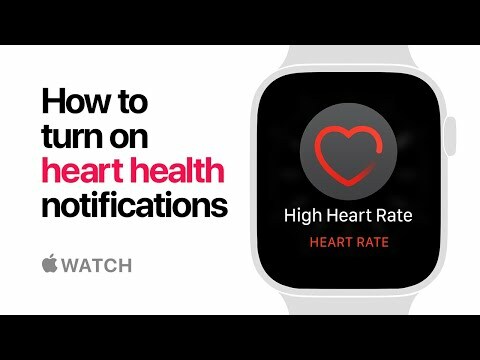 You can, however, still set high and low heart rate alerts. I am well under the default age for automatic Fall Detection but I enabled it anyway. I haven't had a single false alarm, but I have fallen bad enough twice hiking where I assumed it would've gone off but it didn't. It's called Infograph and I've been using it since getting my Series 4 Watch. If you can't find it via the Watch try adding it from the Watch app on your iPhone. On your iPhone, go to the Watch app and click on the "Face Gallery" tab on the bottom of the screen. You'll see all of the available faces there. You probably just don't have it in the "My Watch" tab yet. well...I be darned. There she blows. *Thanks*! AI is the best. I love my new Apple Watch 4, 44mm and I only paid $360 for it! It replaced my Original Apple Watch which I got slightly used buy looked new for $300 with a second charger and 3 more Apple color bands, Re, White and Blue. Craigslist is your friend!!! Shop wisely and you'll not have any problems. Going from 42mm to 44mm, you wouldn't think there would all that much of a differance, but WOW, just everything overall on the screen in larger and more fits on it. You would think 2mm larger isn't much, but it really is. Siri on my old watch stopped working. I think the mic getting wet caused it to fail. Also the app, "Voice in a Can" would never work. Just so slow and poky on it. On this 4, it's much better, plus with Siri Shortcuts, and not having to say Hey Siri. I can just lift my wrist up and say "Alexa" and Voice in a can loads up and now I have Alexa support. Which I really only need to control my powered Blinds. Now I can do it on my wrist which is nice. I'm a Homekit house and Siri works great, but no Homekit support on my Blinds at this time, so this is the work around. But being able to lift lift my wrist and issue a command like "Open Garage" and it opens comes in really handy. My Original was no longer supported my Apple. No more WatchOS updates. It's a huge update coming from the Original to the current 4. My Original I put some small scratches on the top left corner. Most of the time you wouldn't notice them. This time I have a screen protector on which I can peel off and install the other one when I need to as it came with 2 of them and it's in a heavy duty case with it's own band. Because it does get banged on at work. I had white paint specs on the watch face and band from spray panting here at work, Most everything in production, walls and stuff are white. I could get it off the watch, but couldn't get the paint off the band. Which was OK as I install other bands anyway. This case, I can just pop the watch out the back of it, and install whatever band I want onto it pretty quickly. I just have to remember to throw on one of the disposable plastic arm sleeves wee have here on that arm over the watch.